sense objects), and who is undistressed and free from moral defilements1. object, sound, odour, taste, touch and mind-object. arahat are calmed, and his passions extinguished. monastery, the Buddha uttered Verse (385) of this book, with reference to Mara. it was Mara who was asking that question, chided him, “O wicked Mara! undistressed and free from moral defilements. Insight Meditation), then, in that knowing one, all fetters are destroyed. 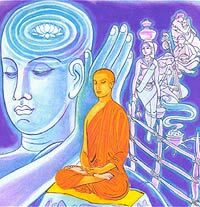 this: “What are the two dhammas?” To this the Buddha replied, “Sariputta! 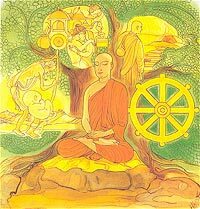 the thirty bhikkhus attained arahatship.